On Thursday 8th March I’ll be back focusing on learning as the Chair at the Social Learning Conference. Despite its name, this is also going to be an Unconference. If you want to come along, you can book here. Please say hello if you do. 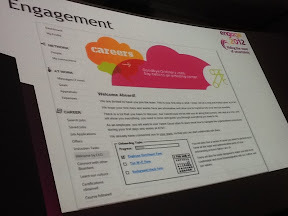 #LT12UK - Where’s the D in #CIPD? Last week I also presented on a session at Learning Technologies on the role of L&D within or separate to HR. I’ve already posted to explain how this resulted from a tweet from Paul Jagger at IBM suggesting that L&D should be freed up from HR, which I strongly disagreed with. In my session, I argued that L&D needs to form part of HR as both are focusing on the same outcomes and are developing their activities in the same sorts of ways (informal, social, mobile, gamified etc). I also argued that L&D shouldn’t just become part of the business because we need prioritise, not de-emphasise, the strategic creation of human capital across the whole organisation – not just meet short-term needs in different parts of a business. 40% of the audience voted that L&D should be part of HR, and given that this was an L&D conference, and that we didn’t count abstentions, I thought that I did quite well! However, Paul made a really well argued, data based case for L&D remaining, and in fact becoming even more, separate. For example, although there’s a logic in brining the P and D together in CIPD, there’s not much evidence of D in the institute’s qualification structure. And I particularly liked these tag clouds, taken from 100 jobs advertised on Changeboard between July and December 2011, showing the difference between HR jobs and L&D jobs – and I think Paul is right to point out the lack of overlap between these two (and also the absence of the word ‘strategic’ from the HR tags). Actually, I think both of these fail to be strategic, and perhaps what both Paul and I were arguing for, despite disagreeing on whether HR and L&D should be split vertically from each other, was more horizontal separation from the strategic and the tactical aspects of both (sub-)professions. Perhaps Lawler was onto something suggesting a split between HR Business Partnering and Organisational Effectiveness? What is now business critical on the HR Director’s agenda? We’ll be following up on the issues raised in the HR Directors Business Summit unconference, and discussed in the final unpanel, at the organisers’ new community forum, HR InSights. Performance. Of the business, and of the HR function too (eg in Ed Lawler’s presentation, and also demonstrated in the HR with Distinction awards). Leadership development. In business (particularly given the passion expressed in the unpanel about ‘toxicity at the top’) and in other areas, particularly sports (eg in Sir Clive Woodward’s presentation on coaching in rugby and basketball which suggested some interesting opportunities for business coaching too). Planning and analytics. Eg I liked the way that David Clutterbuck suggested that we need to be analytical in order to remain caring for our people. I also suggested that ‘social’ should be a key theme for HR, even if we hadn’t mentioned it on day 1, and would come through more strongly during day 2 - which of course it did - particularly given the unconference on the agenda. - Yes, and of course, they need to know each other as well. However, in at least one way, social had already come through as a key theme in the agenda. I noticed this looking at the hosted lunch sign-up lists after checking on the unconference grid board on the way back to my hotel after the awards dinner on day 1. There were two lunches on performance (performance through coaching, high performance culture) – both full; three lunches on leadership (inclusive leadership, new directions in leadership development, the living leader) – all full; two lunches on planning and analytics (strategic talent planning, learning and analytics) – both full; but also one lunch on social media and the workplace – also full. Other lunches were much less well booked up eg the one on pensions auto enrolment was completely empty still (this may be more about how people want to spend their lunchtimes than any real indication of interest, but I think it still says something about the importance of social and the other three issues I’ve listed above). HR innovation (I accept this omission, though I thought there was much more focus on the need for HR innovation vs just using common sense than there was in at least one previous year). Youth unemployment (this was also a big omission, as it tends to be in most conferences, though we have addressed it in the ConnectingHR unconference). But as I had said in my chairing, I do think analytics had come through as a key theme, and it could have been stressed more if people had been that interested in it. However, it was interesting that although metrics were suggested as one topic for discussion in the unconference, nobody seemed interesting in discussing it, and we had to fold that particular group (falling, perhaps, for the pensions auto enrolment problem?). I also thought that this may be another good opportunity to raise my own perspective that yes, measurement is important, but let’s not get too carried away! The pig doesn’t get any fatter by measuring it – it’s what we do with our measures that counts! It looks bad doesn’t it – 40% of CFOs have no understanding of the return on their company’s HR investments. 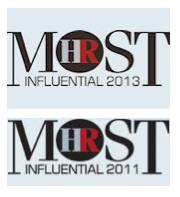 And this might indicate that HR really hasn’t got a good handle on HR measures and analytics. But I don’t think it does. I think it reflects the fact that most of HR’s outcomes are intangible – they can’t be accurately calculated. From this perspective, the 40% isn’t a problem but a natural consequence of this type of role. I’m not saying that HR measures, analytics, or approaches like the HR scorecard (which I think is the most appropriate basis for HR measurement) can’t help, but even then, I think ‘know’ is a bit strong. We can certainly develop insight into this, but we’ll never be able to ‘know’, in detail, exactly what we’ve managed to achieve. Return isn’t the issue. Let’s just accept this and move on – we’ve got bigger challenges to tackle - toxicity and the top; HR innovation and youth unemployment would be better places to start! So you probably know that I’ve been one of the people behind the introduction of unconferences into HR in the UK. I love these events and am really interested to see how they develop – perhaps with more small groups like ConnectingHR arranging organically to get together and learn from each other, and with the traditional conferences, outside those operating in relatively specialist areas, retreating into a smaller and smaller role – or whether the traditional conference providers get smart and update their models to make conferences less formal, more social and therefore more appealing, meaning that people might not see so much need to do things for themselves. World Trade Group, organisers of the annual HR Directors Business Summit (plus the Pan European HR Summit, and the first CHRO Summit in the US later this year) are, I think, leading the field in looking at how the traditional model might change. So on Wednesday last week, I chaired the second day of the HR Directors Business Summit which integrated unconferencing into the formal conference. This isn’t a completely new idea, so for example, HR Technology US and HRevolution were run together last year, and even included a couple of HRevolution sessions on the last day of HR Technology. But there was no real cross-over between the two (and actually, though I love HRevolution, it’d not really an unconference). Using the final conference panel session to feedback on, and get further input into, the discussions in the unconference. In general, I think it went really well, though there were a lot of things I learnt, and I’d do differently if and when I do the same thing again. But the energy and involvement in the unpanel (at least during the last 5 minutes) were like nothing you’d get in a traditional panel, and I hope that even though it was messy, people will have appreciated the authenticity! And by participating in the conversation, I honestly think that people will have learnt a lot more as well. ConnectingHR, the members of which acted as a fairly large proportion of the above. This is important because it’s the strategic business partner role that provides by far the greatest input to business success. In improving on these results, HR’s structural model has been one of the major change in organisations. The major problem has been HR functions going native – only thinking about their line of business, not the corporate as a whole. Organisations are trying different things eg double hatting but this generally ends up with everyone feeling schizophrenic – above and beyond their sanity. A better solution may be to give HR a wider set of issues, eg this example from a US company – helping to deliver a terrific EVP etc. Ie, to achieve these benefits we may need to break HR out from the function responsible for Organisation Effectiveness – allowing this higher function to be strategic and analytic – as otherwise it always gets taken over by transactional work. However, I’m not totally convinced we need to separate HR from the OE function. If I was ever to go back into corporate ‘people management’, this OE one is the one I’d want to have, but I’d ideally like to retain responsibility for the HR function too, so that I don’t have to do everything through influence but also have some of the most direct levels for improving organisational effectiveness under my own control. So I’m back here again. The main highlight today is Ed Lawer on one of his rare trips to the UK. We start on the need to build changeable rather than simply great, but stable, organisations. This is the difference between new normal and old normal - change and accountability. We’ll never go back to the days of fixed job descriptions. Companies don’t generate competitive advantage out of the ability to execute but from the ability to change and adapt on an ongoing basis. They need to be able to adjust to a series of competitive advantages which are always changing. This, for Lawler, is why 80% of changes fail – it is because they are trying to change an organisation which is built to resist change. And we’ve moved from an era of episodic change to one of continuous change – we won’t be re-entering an era of stability. The world is not built this way, and we’re not changing in this way. Built for stability may provide short periods of good financial results but it won’t last. This is a major role for the HR function to take responsibility for this adaptability and it needs to impact on the reward systems it designs, the interfaces it has, etc. We need to put people in touch with their stakeholders: customers, regulators etc – so they can see it, have to deal with it etc. HR needs to create, not just be at the table. This isn’t just about taking the business strategy and translating it into HR practices and organisation design. The strategic piece is entering discussion with human capital and business data showing which additional capabilities can be developed given human capital issues (this is what I call creating value). “The increasing use of strategic workforce planning is a welcome development in the HR profession. However, to enable effective people management, organizations need to undertake six different forms of planning, focusing respectively on human capital; talent; human resources; workforce; succession and HR processes. It is only by including a focus on human capital and talent that workforce planning can be truly strategic–that is, concerned with competitive advantage in the private sector, or transforming services and significantly improving the way customer and other stakeholder needs are met in the public and voluntary sectors. These six processes also need to be supported by three enablers: focusing on the future state; creating multiple scenarios and the appropriate use of measurement and creativity. The other key event that I’ll be presenting at next week will be Learning Technologies (with Learning and Skills, and Learning without Frontiers) at the Olympia in London on Thursday. In the red corner, Paul Jagger at IBM will be arguing that L&D needs to break free of HR in order to take its rightful place at the heart of organisational strategy. 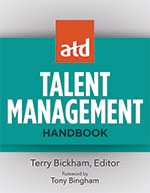 In the blue corner, I’ll be arguing the reverse – that HR and L&D need to be brought further together to integrate both activities and outcomes and maximise the impacts of these (key themes from my chapter in the Executive Guide to Integrated Talent Management). It should be a good, if potentially rather bloody, bout! I’ll be attending, and therefore probably blogging from, a couple of other sessions from day 2 of the conference as well. I won’t be doing one of these however as I suspect that by then I’ll be rather conversationed-out! However, I am looking forward to some more informal conversations with some of the conference delegates and exhibition visitors – so if you’re going to be around, do let me know. And – if you fancy a bit of HR / L&D integration, come along to the ConnectingHR (including L&D) tweet-up in central London on Thursday evening – you can sign up for this here. (See Learning Technologies conference chairman, Don Taylor’s perspectives on an earlier Connecting HR tweet-up here). And and – for even more conversation after next week’s two events, come along to Connecting HR’s next proper unconference in May. Picture credit: Cpl. Megan L. Stiner (please note I chose the colours of the corners before I picked the photo – sorry Paul). The next HR Directors Business Summit taking place in January 2012 will, for the first time, feature an unconference. Since this format may be unfamiliar to many delegates, I have written this article to explain a little about the history of unconferencing, and what you can expect if you attend one of the unconference sessions at the Summit. Unconferences, also commonly known as barcamps, are events a bit like a conference, but which also quite unlike a conference, as there are no pre-set agendas, pre-booked speakers or formal presentations. Instead of this, unconference attendees all participate on an equal basis, deciding between them on the topics which will be the focus of the unconference, and all contributing to conversations around these topics. Unconference attendees are also encouraged to take responsibility for their own participation. As well as helping to set the agenda, this includes deciding on which sessions they are going to attend and, if necessary, moving between sessions during the unconference to ensure they are contributing and learning. But probably the main difference between the two formats is that rather than following a model of traditional training, unconferences focus on social learning. Even if they involve less dissemination of expertise (because nobody is there as an expert), everybody’s learning is usually greater because it is built upon the knowledge and insights of all participants. What is the history of unconferencing – why have I never come across it? Unconferences are based loosely upon Open Space Technology and were first held in the Californian ‘technology geek’ community in the late 1990s and early 2000s. 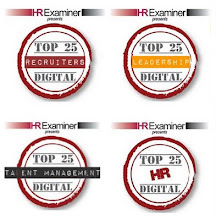 Their use extended slowly into HR, led by people like Jay Cross, the pioneer of informal learning, and Jason Davis, the founder of Recruiting Blogs, with Recruitfest in 2008. The first cross-HR unconference, HRevolution was held in Louisville, Kentucky in 2009. In the UK, unconferencing also kicked off in the recruitment space with TRU (the recruitment unconference) in 2009 before moving into broader HR with Connecting HR and CHRU (Connecting HR Unconference) which I established in 2010 with Gareth Jones, who at that time was leading one of the UK’s main HR recruitment agencies. Connecting HR has now organised three UK based HR unconferences and feedback has been extremely positive, with participants stating that they have learnt as much, if not more, than they do at most conferences, as well as developing many more, and deeper, relationships which they continue to draw on to support their learning after the event. However these unconferences have been largely limited to users of social media. The HR Directors Business Summit will see the first time that an unconference has been run for a broader HR population and also the first time that one has ever been fully integrated into a traditional conference. Increasingly of course, unconferences are also being organised within organisations, but it is still currently early days in their broader adoption. So we would not be too surprised if you have never heard of them before. What will be happening at the HR Directors Business Summit? The unconference will consist of three phases held over the two days of the Summit. The unconference discussion sessions will all be held on the second day of the unconference. There will be two sets of concurrent sessions, each consisting of about a dozen people, taking place at the same time as the workshops, conference sessions and masterclasses in the main conference. The unconference will then close with a plenary panel debate back in the main conference, summarising the discussions that have taken place and enabling further conversation about some of the key themes emerging in the unconference sessions. We will also be using Twitter to encourage further input into these discussions from people not at the conference. On the first day, the focus will be on creating the grid – the matrix detailing the topics that will be discussed on the second day. We will be asking delegates to suggest topics and to sponsor sessions to discuss these. Topics can relate to a particular conference session or a point raised by a speaker in the conference, a key theme emerging from a couple of different conference sessions, or anything else. Sponsors do not need to be experts in these areas, it may be that they simply want to know more about these topics from other delegates. It is therefore up to each sponsor as to how they want to run the session, though we suggest that if they do want to make an input before the start of a discussion, that this should last for no more than five to ten minutes. However, the sponsor may choose simply to explain why they think the topic is important, and to ask a question to kick the conversation off. Whatever role the sponsor decides to take, their main job will be to facilitate the conversation to maximise participants’ learning and if possible and appropriate, to generate some conclusions from the conversation. Why should I attend one of the unconference sessions (as sponsor or participant)? The HR Directors Business Summit is incorporating unconferencing into this year’s conference as a direct response to an increasing desire for more involvement and interaction. To date, this has been encouraged by taking questions at the end of each speaker’s presentation and through one-to-one meetings with suppliers, networking time at breaks, and social events in the evening. However, the new unconference sessions will provide the first real opportunity for a much higher proportion of delegates to participate in the main flow of conversation at the summit. There is an excellent line-up of speakers in the main conference and missing one of the speaker’s presentations to attend an unconference session may mean that you learn about less. However having the opportunity to discuss key points from one or more of the sessions with other delegates should help you internalise and remember your learnings about these topics better – helping you to maximise the benefits you have received from the sessions you have attended. Unconferencing is something you can do within your organisations as well and the sessions at the HR Directors Business Summit will provide you will an opportunity to explore the unconferencing approach and then potentially take this back into your own organisation. Next week I’ll be chairing the second day of the HR Directors Business Summit in Birmingham, UK. My key role will be running the plenary panel session at the end of the day, facilitating a ‘big conversation’ about some of the key themes from the conference (including the unconference which is forming part of it). However, we’ll also be looking for inputs over social media, so if you want to participate in the conference, and can’t be there in person, do follow the hashtag #hrevent, and join us on twitter from 3.10-4.00pm on Wednesday 25th. I'm at Lumesse's international customer conference in London today. Listening to Josh Bersin - always great value even if I don't agree with everything he says - eg the development of Strategic HR into Integrated Talent Management (agreed) and then a business enablement function vs a separate function managing people (disagree). He's got research on his side, but there are always different ways of reading this! Catherine Berridge at Sara Lee talking about their Lumesse implementation, and the separation of their coffee company, but also their focus on collaboration, which is cascaded through their HR processes - at least their performance management one, with the inclusion of shared objective setting with anyone else in the company, not just through their own hierarchy (Lumesse apparently supports it too). Seeing the focus on collaboration continued at Tata Beverages in Nalin Miglani’s presentation (“individually excellent, collectively brilliant”). Nalin didn’t make the link, but I think you can see this focus in Tata’s processes too, eg its appraisals are called ‘the conversation’ – and in fact they don’t even bother keeping the paperwork (I’m not sure whether it’s tracked in Lumesse’s systems or not). 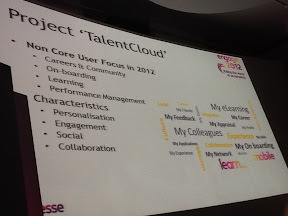 In terms of Lumesse itself, the most interesting change for me, supporting their 'hashtag' (buzzword bingo) slide (above), is the development of 'Talent Cloud'. I obviously had too good a Christmas as I’ve been struggling to get back into work mode again. But I’m now back at client work so it’s time to kick off blogging again too. This year I’m keen to continue a good rate of posting, and to make my posts more strategic too. 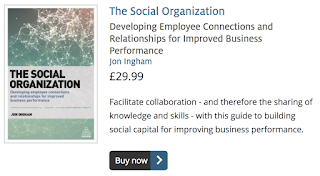 There are now an awful lot of HR bloggers out there, but I want to ensure this blog is the one you continue to return to for advice on strategic people management and development. 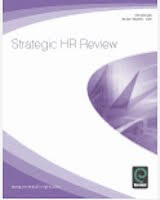 I therefore thought it might be appropriate to start this year’s posting by reviewing Cornell CAHRS’ report, the 2011 CHRO challenges (based upon meeting the CEO’s needs for HR). I may of course just be reinforcing my image of always being a bit late to the party, but then I only received this document towards the end of last year, and I’m sure the same sort of challenges will apply in 2012 as well. The other reason that I wanted to pick up on this is that for the first time in three years, CAHRS have been able to separate out European data. I write here for a global audience, but most (not all) of my clients are European based, so I’m particularly interested in their challenges. And it’s interesting to see that European CHROs (or Heads of HR) generally experience the same main challenges as their US counterparts – particularly related to dealing with the lack of talent in the HR function. However, this challenge is greater here too – leading to a significantly enhance challenge in transforming the HR function. I had thought initially seeing this result that the difference in Europe would be down to the multi-country / language / labour code environment in which we work in here, but actually the obstacles are mainly about people – HR competencies (Europe 97%, US 58%), HR resources (25 / 34%) and organisational talent (19 / 25%), as well as in Europe, HR processes (29 / 5%), HR technology (25 / 10%) and line support (25 / 6%). Not regulatory / legal constraints – which are actually higher in the US! (6 / 13%). So what’s behind this lack of people and competencies? One factor is the low promotion rates of CHROs compared to other CXOs (HBR article pictured above), particularly in Europe, where just 24% of CHROs are promoted from within the function. I also think its about the lack of strategic development opportunities available, particularly again in Europe. OK, we’ve got the CIPD in the UK which is broadly comparable to SHRM, but we don’t have anything comparable to HCI, HRPS etc, and I think it shows. You can also join my webinar on innovating HR at 4.00pm GMT tomorrow.